Plexidor Pet Doors: Chubby dog? Getting a smaller bowl might help. Browsing the Internet for interesting pet news usually brings me past the Huffington Post, and I stumbled over an article about overweight pets and the size of food bowls. I've never thought about this connection, but it makes sense. A big bowl will make a correct size portion look tiny. 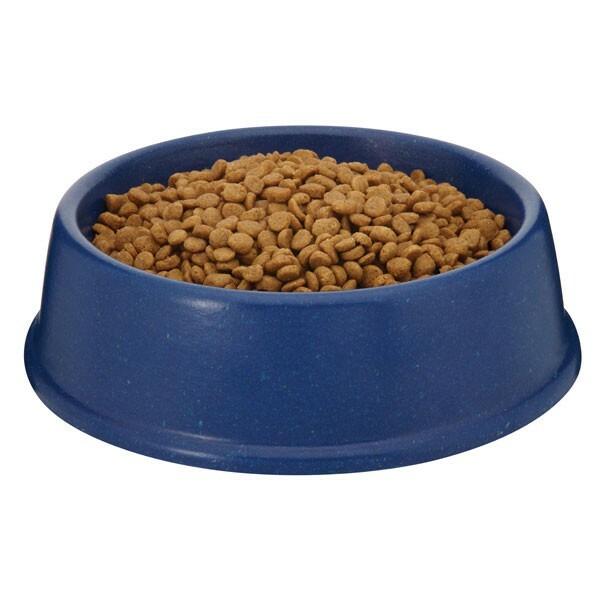 My doggies have pretty large bowls, and I always think, "Oh you poor thing, having to make do on so little food. But it's what the bag says you should have..." It is tempting to toss some more grub in there to make it look better. Predictably, the servings in the small bowl with the small scoop were significantly less than all other combinations. Yes, especially for small dogs and cats eating dry food. Kibble is generally high in calories, and a small pet will gain weight quickly. What to do? I use a graded measuring cup. Even if the food in the bowl looks like too little, the measuring cup says it's just right. The article also pointed out that many pet owners have a huge bowl for the food, and a tiny bowl for water. It should be the other way around: pets need much more water than they do food. Oh yes! I made this mistake when we first got Titan. Now he has a smaller food bowl, not water, and I do measure his food in the a.m. and evenings. It works much better and helps keep his weight down. Thanks for sharing this! Awesome stuff! Mom has always had bowls for us that matched our size and she always measures out the food...rats...I try to distract her but it never works to get more food! You can't just put down food and think pets know when to stop eating! My dogs are really good at giving the "Mom, I'm still so hungry" stare. I look away and pretend not to see it.